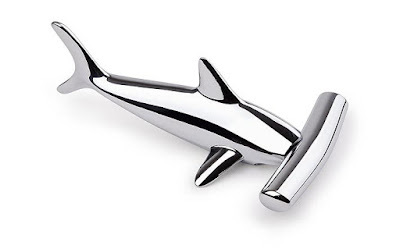 Why open your bottles with the usual bottle openers when we have the best bottle openers ever for you? Now open your bottles in style with these best bottle openers. EdgeOpener: The EdgeOpener sticks on the edge of your countertop, table, workbench or anything flat and opens your beverages with ease. 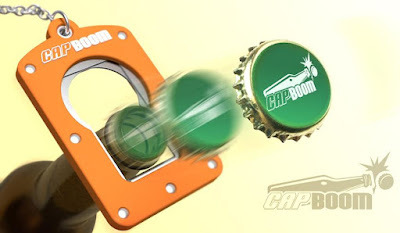 And what more, its magnet holds the bottlecap for you. Buy Now. Trowel Bottle Opener: Gardening is fun, and a chilled beverage to go along makes it perfect. 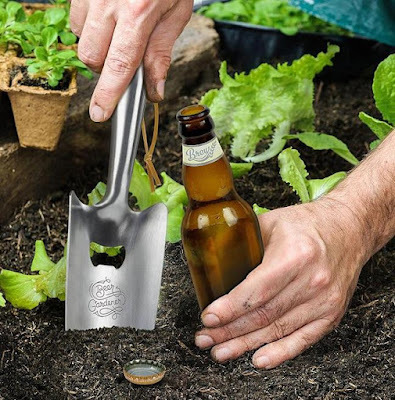 What more, you don't need to change tools to open your beverage, this cool trowel features a bottle opener in the middle of it. Buy Now. Capboom: Capboom opens your carbonated beverages in style - tosses of the bottlecap in air along with a brilliant sound. Buy Now. Tailgating Gloves With a Bottle Opener: The Tailgating Gloves come embedded with aluminum bottle opener in the right palm. 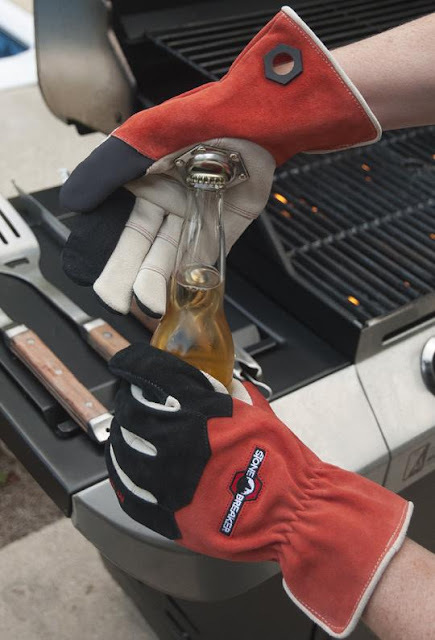 So while you are at BBQ, you don't need to take off the gloves to open a chilled beverage, on the second thought these are also supposed to protect your hands from heat. Buy Now. 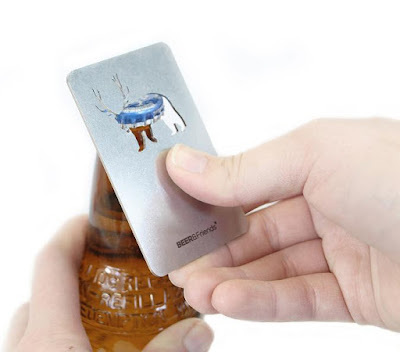 Wallet Card Bottle Opener: The Wallet Card Bottle Opener is made from stainless steel, measures the same as a credit card, weighs an ounce, can be placed comfortably in your wallet and is ready to open your beverage any time. Buy Now. 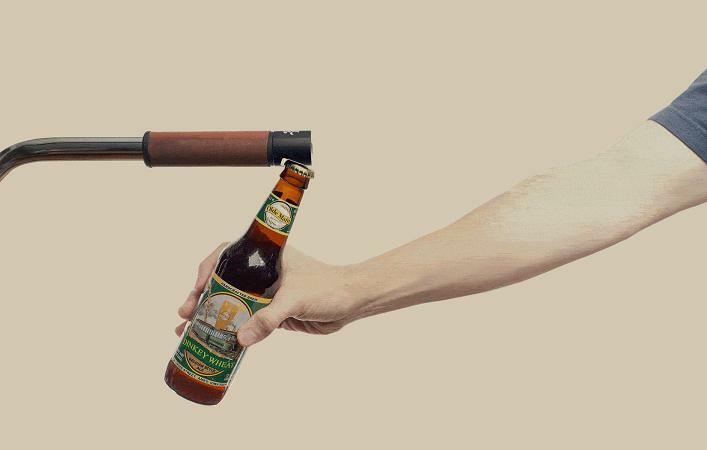 Pubnub: Pubnub is a cool bottle opener that attaches to your bike's handlebars and lets you open your beverages while riding. Buy Now. Zipper Bottle Opener: The Zipper Bottle Opener opens your favorite beverage in a zip; comes with a magnetic back to attach to your refrigerator and measures approximately 4.75 x 1.25 x 0.75 inches. Buy Now. 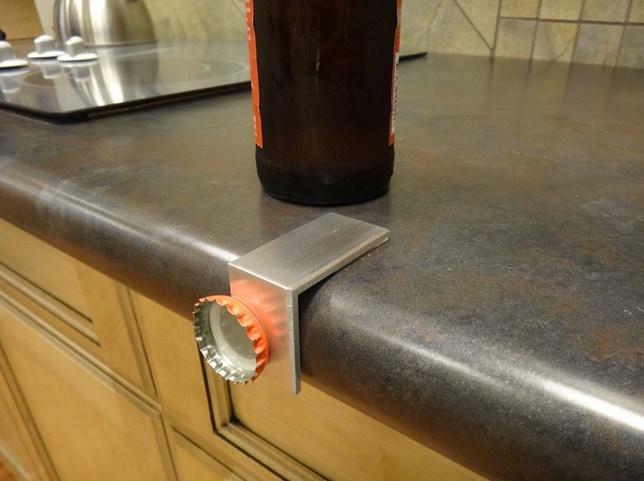 Magnetic Bottle Opener: The Magnetic Bottle Opener provides all the leverage points you need to open bottles and cans. Buy Now. 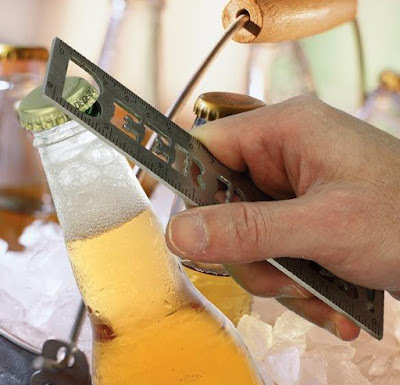 Hammered Head Bottle Opener: The Hammered Head Bottle Opener is a chrome-plated bottle opener that also doubles as a corkscrew. Buy Now. 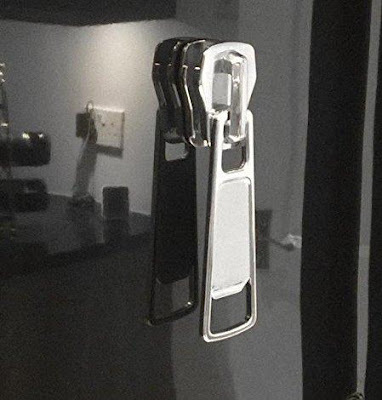 Ninja Bottle Opener: Now use the ninja power to open your beverage bottles. Buy Now. 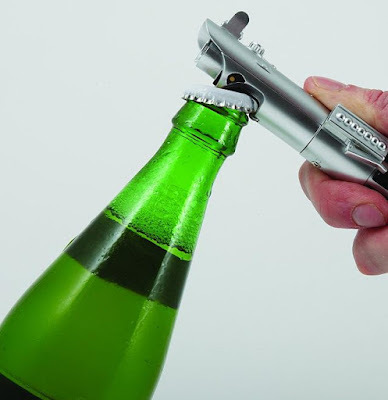 Starwars Bottle Opener: Now use the 'force' to open your beverage bottles, and it completely depends on you whether you are using the dark side or not. Buy Now. 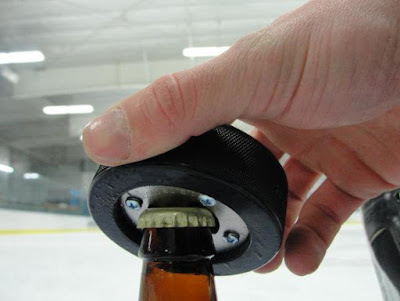 Hockey Puck Bottler Opener: The hockey puck bottle opener is made from a real hockey puck, comes with a built in magnet to hold your bottlecaps. Buy Now. 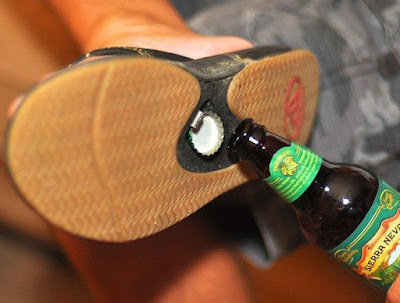 Bottle Opener Sandals: These cool sandals come with a hidden bottle opener on its outsole for opening your favorite beverage anywhere anytime. Buy Now. Ruler Bottle Opener: This cool ruler is made of stainless steel, features measurements in inches and centimeters on each side, and doubles as a bottle opener. Buy Now. Beard and Mustache Comb Bottle Opener: The Beard and Mustache Comb keeps your mustache and beard maintained. Its made from stainless steel, comes with an integrated bottle opener, and is a must have tool for any self-respecting mustachioed or bearded man. Buy Now. 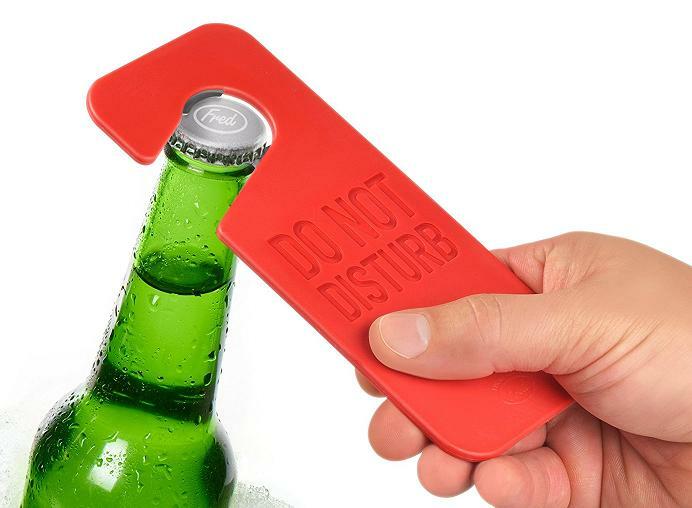 Doorhanger Bottle Opener: The Doorhanger Bottle Opener features a 'do not disturb' sign you might find in a hotel and comes with embedded steel teeth for opening your bottles. Buy Now. 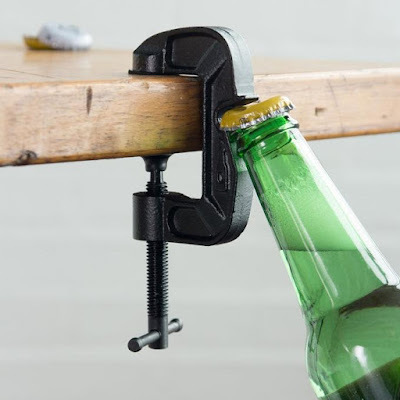 G-Clamp Bottle Opener: Generally the clamp is used to secure or hold the objects together so they don't move, but we have this cool bottle opener that looks and works like any other clamp but features a bottle opener. Buy Now. 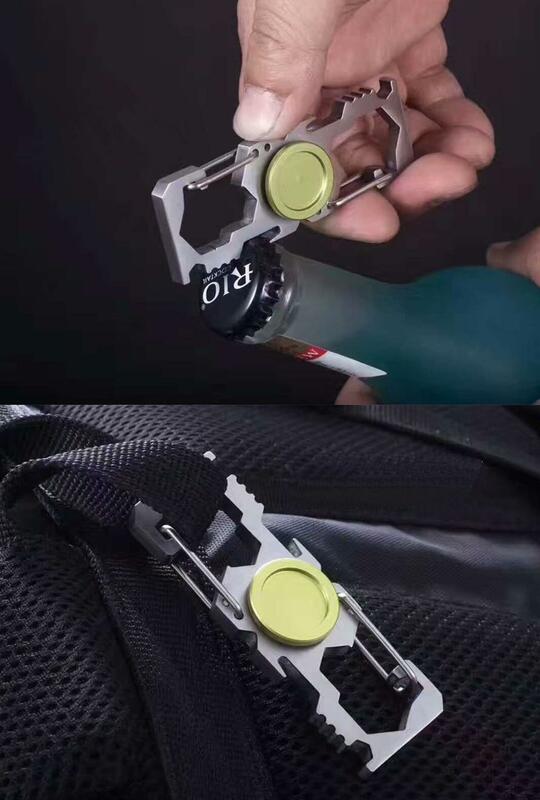 Fidget Bottle Opener: This fidget is a multifunctional tool, can be a keychain, carabiner, bottle opener, fishing rope buckle and more. Buy Now. 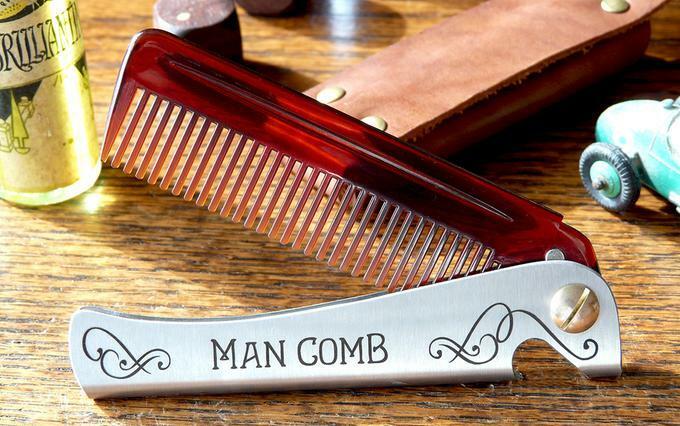 Man Comb: The Man Comb is a tough and compact flip comb that's an ultimate tool for hair, beard and beverage. 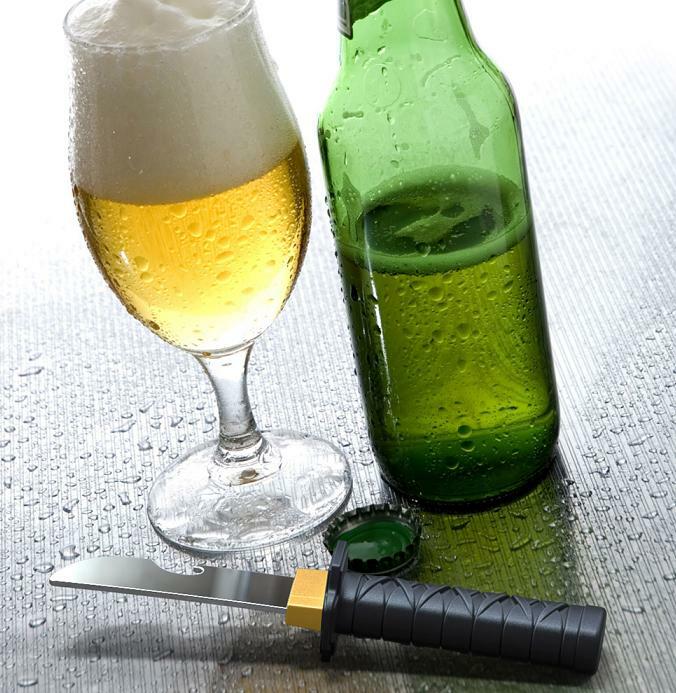 Its made tough, has a stainless steel handle; the comb material is made from similar thing to airplane windshields. 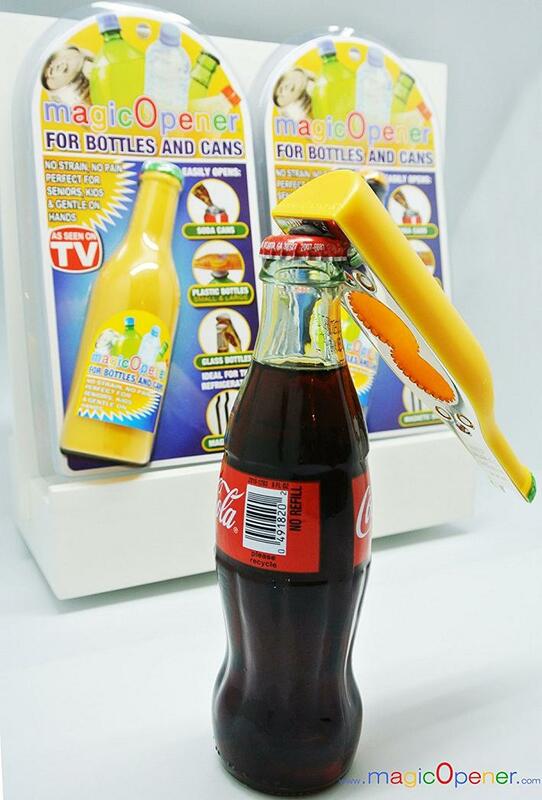 You can comfortably place it in your pocket or can attach to a keychain. 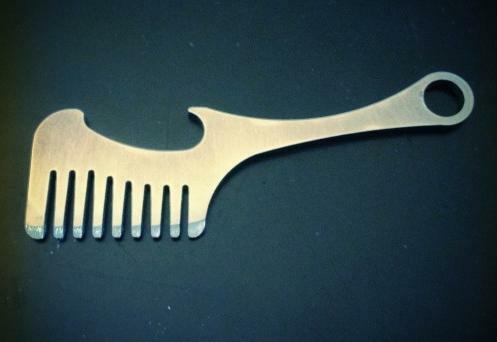 Its magnetic that lets the comb hold in the open and closed state and a bottle opener is an integral part of the design. Buy Now. 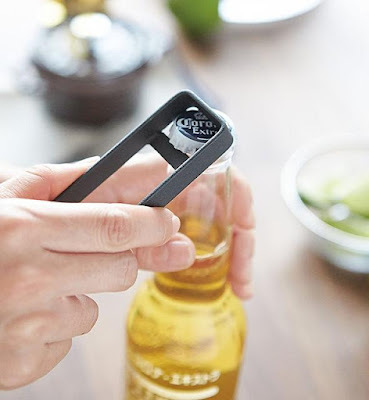 Tower Bottle Opener: The Tower Bottle Opener is minimalist, made from high quality materials, holds the bottlecaps after opening, and perfect for your kitchen. Buy Now.